An engineer from FEC has completed a five-week secondment to a major fabricator based in Thailand. The experience provided both professional and personal development. The Thailand based company, has a long history of large scale steel fabrication projects. From pressure vessels and piping to mining structures and precast concrete, completing projects for all regions of the globe. This fabricator was also responsible for the manufacture of many APLNG Separator Vessels, that were designed by FEC. 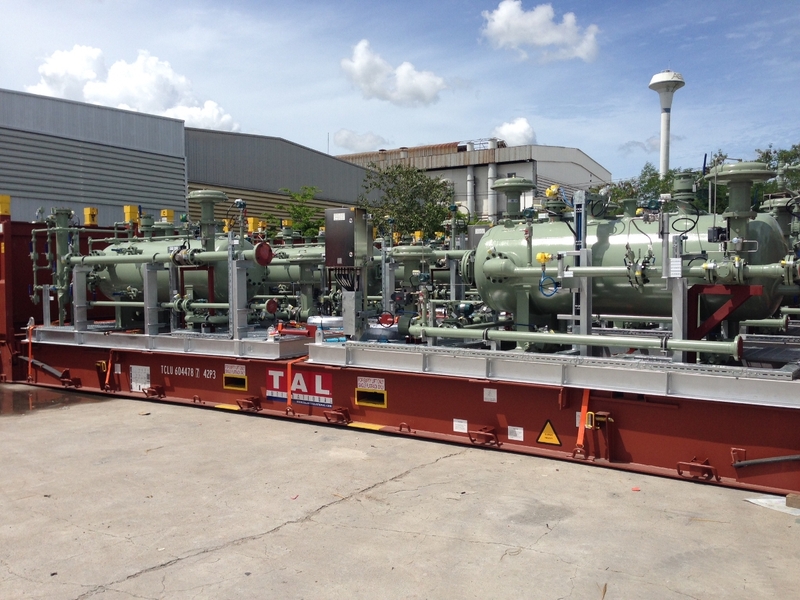 The latest major project undertaken by the fabricator, and the main purpose for the FEC secondment, was the topside fabrication of two Floating Production Storage and Offloading (FPSO) units. The topside structures, piping and vessels are being fabricated in 17 modules, totalling approximately 6000 tons for each FPSO unit. The modules are to be shipped to Brazil where they will undergo the final assembly. A significant amount of fabrication equipment was purchased for this project. Several automated welders, automated H beam makeup weld tables, oxy-fuel cutting tables, as well as several new overhead workshop gantry cranes were all put into operation. The project utilised a workforce of over 450 people from across the globe. The practical, large scale, workshop experience gained from this experience provides an essential part of a design engineer’s knowledge base. Detailed knowledge of the entire fabrication process, and the realities that are faced, ensure the solutions provided by FEC add value from both a fabrication and design standpoint.